Dr. Jonathan Pontell, MD is a Doctor primarily located in Media, PA, with another office in Wayne, PA. He has 30 years of experience. His specialties include Plastic Surgery within the Head and Neck and Plastic Surgery. He speaks English. Dr. Pontell has received 7 awards. The overall average patient rating of Dr. Jonathan Pontell is Excellent. Dr. Jonathan Pontell has been rated by 241 patients. From those 241 patients 182 of those left a comment along with their rating. The overall rating for Dr. Jonathan Pontell is 4.6 of 5.0 stars. Botox and fillers...the doctor is honest, kind, professional , affordable and just perfect in every way. I had a mini lower face lift and could not be more thrilled with the results. Dr. Pontell and his staff are wonderful. These good reviews on here on fake!! Please do not go to him. The day after he gets a bad review, a 5 Star one goes up. I posted pictures on real self of what he did to me. Run!! I had a rhinoplasty performed by Dr Pontell. I experienced minimal bruising following the procedure and am thrilled with the results. Run!! I wanted to wait in order to do a fair review. In all honesty, I do not believe all of these reviews on here are truly patients. I suspect some may be from Staff. Especially the ones done two weeks post op. I had my nose done 9 months Ago and it is ruined. It’s now cooked and looks like I’m missing a nostril in pictures. Actually in real life too. There is a bump that is sticking out and hurts. I can see people looking at my crooked nose when I’m talking to them. Going to Dr. Pontell was the worst decision I’ve made in my life. My nose looked “off” as soon as the cast came off. He kept telling me it was swelling and to have patience. 9 months later I’ve accepted I got a botched nose job. When I called the office they told me this has never happened before- but based on some reviews, it seems like it there are other botched patients. Please, please think hard before you do this. A botched nose job is not worth it. I promise. I didn’t love my old nose, but I’d take that back any day over what I was left with. I’m happy to share pictures so you can see what you are risking. Also if anyone can refer me to another surgeon. I just don’t think I can go back to the person who botched me. It seems I’d be signing up for more issues, especially based on patients reviews who let him do a revision. Please Find someone else. 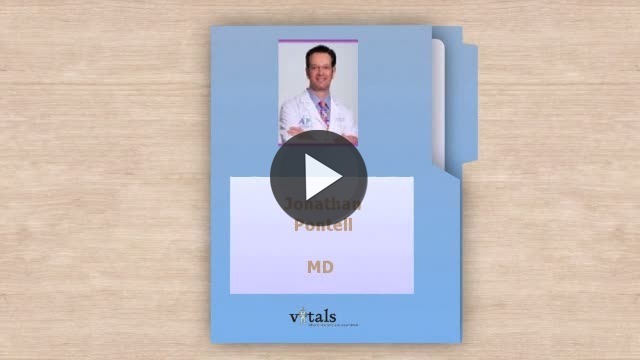 Take a minute to learn about Dr. Jonathan Pontell, MD - Plastic Surgery within the Head and Neck in Media, PA, in this video. Dr. Jonathan Pontell is similar to the following 4 Doctors near Media, PA.
Have you had a recent visit with Dr. Jonathan Pontell? Select a star to let us know how it was.